We usually don't have a lot of left over turkey after Thanksgiving, but I had ideas for those left overs. Soup. Bernardo loves soup so much that he would probably eat it daily. To make turkey noodle soup, boil turkey, uncooked egg noodles, seasonings and chicken broth until noodles are cooked. 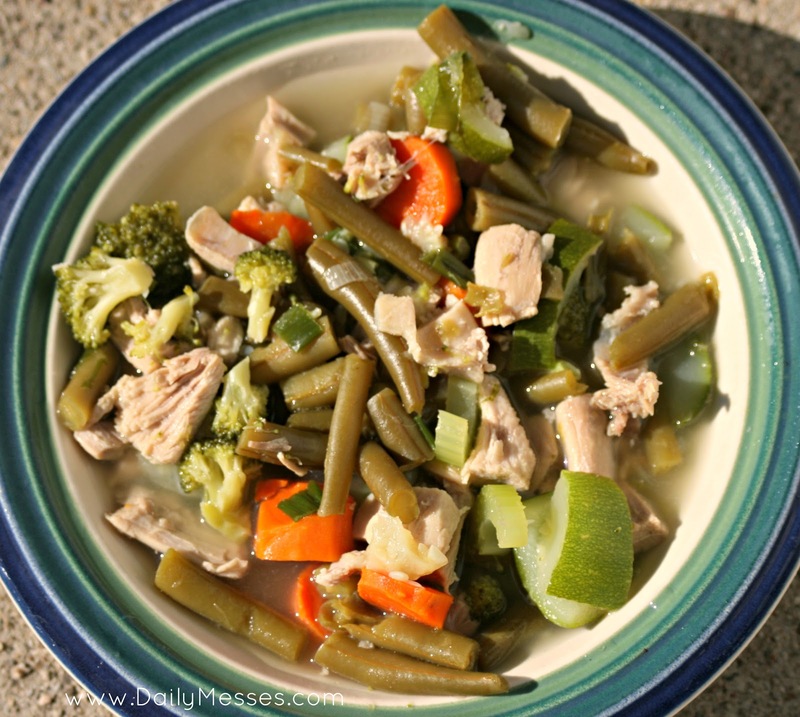 DM Alternative: Add turkey to vegetables and broth to make a Turkey Vegetable Soup. I like to add in freshly ground pepper, thyme, and a little garlic. Burritos, Tacos, Quesadillas de Pavo (Turkey). Shred the turkey and use in your favorite Mexican dishes. Sandwiches. There's nothing better than a piece of carved turkey with some lettuce, tomato, and mayo. 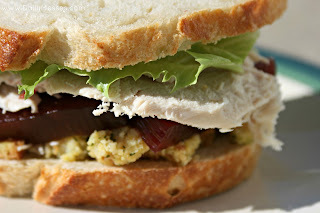 Place on a George Foreman grill or Panini press to create a warm sandwich. Pot pie. Fill a pie crust (I use a store bought one) with layers of turkey, corn, chopped up green beans, stuffing (or dressing), sweet or mashed potatoes, and a can of cream of chicken soup. Cover with another crust. Bake until crust is golden brown. You can also wrap in plastic wrap and aluminum foil and freeze for later. DM Alternative: Phyllo dough also works well for the crust. Pizza. Have a make-your-own-pizza night and use cut up pieces of turkey and stuffing as part of the toppings! Salad. My husband takes a salad to work everyday and freshly carved turkey makes a nice treat on top of a salad. Casserole. Combine turkey with rice (you could even mix in some stuffing), mixed vegetables, cheese, and a can of broth. Bake about 30 minutes at 350 degrees F or until vegetables are cooked. Turkey & Noodles. Make a batch of noodles, stir in chopped broccoli and turkey. 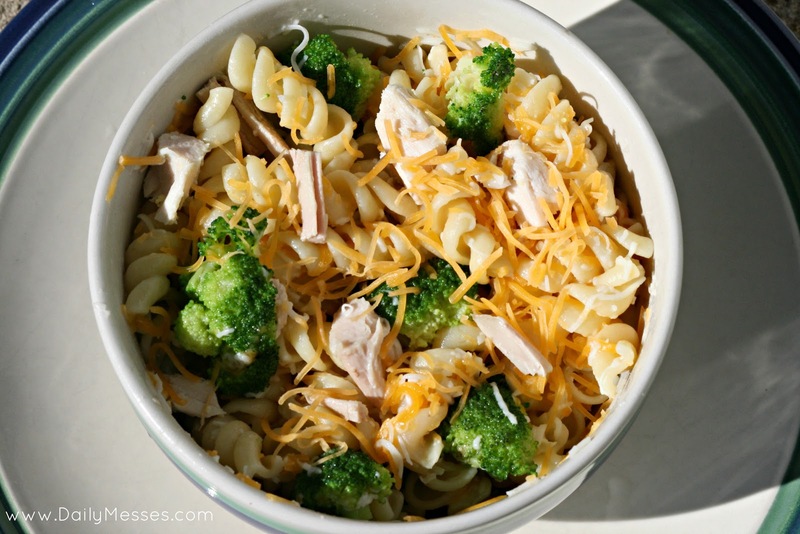 Add in your favorite cheese and you have a quick meal! Baked Potatoes. I have a weakness for baked potatoes...or mashed...or fried...Bake up large potatoes until tender. Cut a slit in the middle and squeeze open. Add in chopped turkey, leftover cranberries, gravy, etc. Turkey Salad. 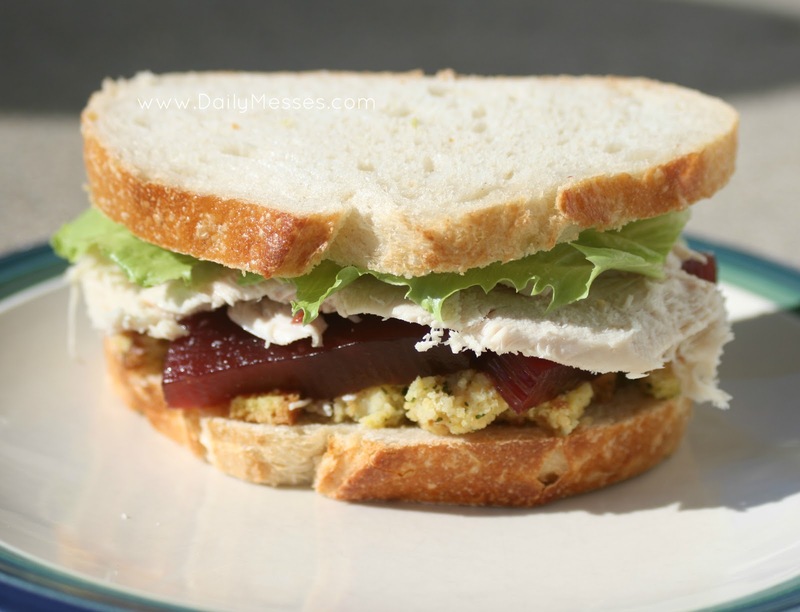 Make your favorite Chicken Salad recipe, but substitute turkey for the chicken! If you haven't made chicken salad before, try this recipe. For our house, I leave out the lemon juice and sour cream.